This year marks Castlevania: Symphonia of the Night’s 20th anniversary and though Konami may let the year go by with little fanfare, celebration of the classic 1997 Platformer RPG should practically be considered mandatory. Since the franchise’s beginning in 1986, Castlevania has always been a beloved franchise by many around the world. It’s known as a tough to complete platformer, full of secrets in every stage. Making it especially unique is its gothic theme, making use of popular characters from various stories such as Dracula or Frankenstein. The game went on to spawn multiple sequels but as time passed and technology grew, so too did the franchise need to evolve. Castlevania: Symphony of the Night was the first Castlevania title released on the PlayStation. At first glance, everything about it is different. The concept of clearing stages was removed along with special weapons that require hearts to use. Even the story focused on the never-ending battle between Dracula and the Belmont family was replaced with a story of Dracula’s son Alucard as he returns to Dracula’s castle in order to defeat his reawakened father. 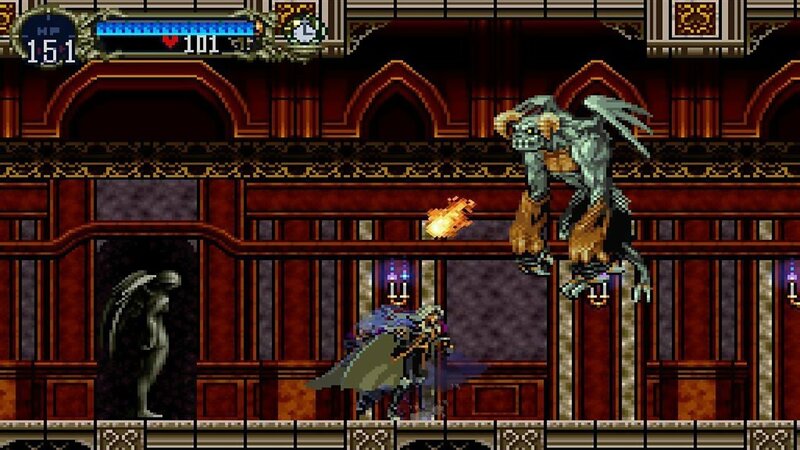 What makes Symphony of the Night so amazing isn’t only what it changed about the franchise however but the way it actually represented what Castlevania always aimed to be while at the same time, giving birth to a new genre within the gaming industry. Dracula’s castle has always been the main locale of the series but it wasn’t until Symphony of the Night that it was actually possible to fully map out the vampire’s home. From the caverns below to the colosseum and clock tower, stages found in the original game make their way into Symphony of the Night in some shape or form, connecting them all to make one giant level. The added genius to this design is something many players miss to this day. The castle design, which was made to be played upside down, is a testament to how well thought out the level design in this game was. Weapons went through a similar change with Symphony of the Night’s evolution. They are still found and picked up, just as they were in the classic titles, but there’s no longer a restriction on how many times they can be used and the manageable inventory allowed players to pick up any item without the fear of losing another. Playing as a Belmont is great, but keeping with that lore, both players and developers are restricted. Traditionally, Belmonts use one weapon, the vampire-killing whip while Alucard, on the other hand, doesn’t have familial ties to a single weapon in Symphony of the Night. This gives the title more role-playing game elements that help to create a feeling of growth beyond simple stage progression as we could actually see Alucard getting stronger, dealing more damage and using better equipment. 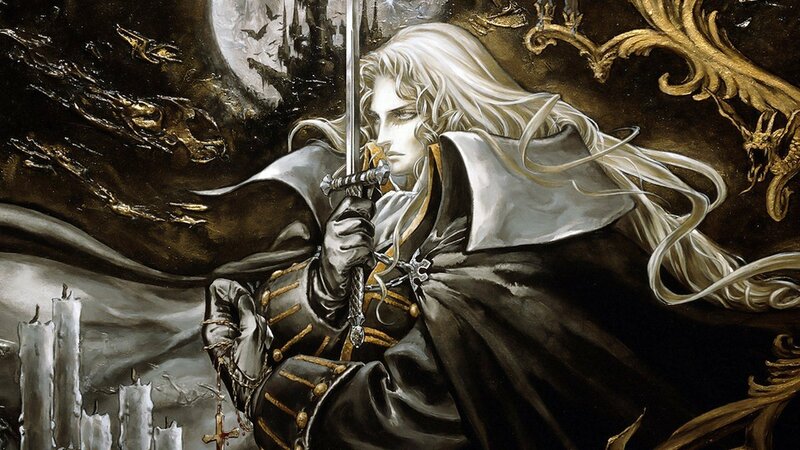 The format seen in Symphony of the Night was reused in almost every Castlevania title released afterwards, only with different castle layouts. As other developers began to make use of this style, the term “Metroidvania” was coined, referring to any game that used a Metroid-style map system with RPG mechanics involved. What Castlevania: Symphony of the Night did was bring a new type of exploration to the RPG genre while also helping to iconize the series by reaching out beyond the borders of platformer fans. The style of game birthed by Symphony of the Night retained its relevance even today, evident by the support of the crowdfunded game, Bloodstained: Ritual of the Night, a game being developed by the assistant director of Symphony of the Night, Koji Igarashi. Bloodstained: Ritual of the Night is a two-dimensional platformer that uses 3D graphics currently being developed by Inti Creates. It is being made as a spiritual successor to Symphony of the Night and carries a lot of the mechanics over from the title. 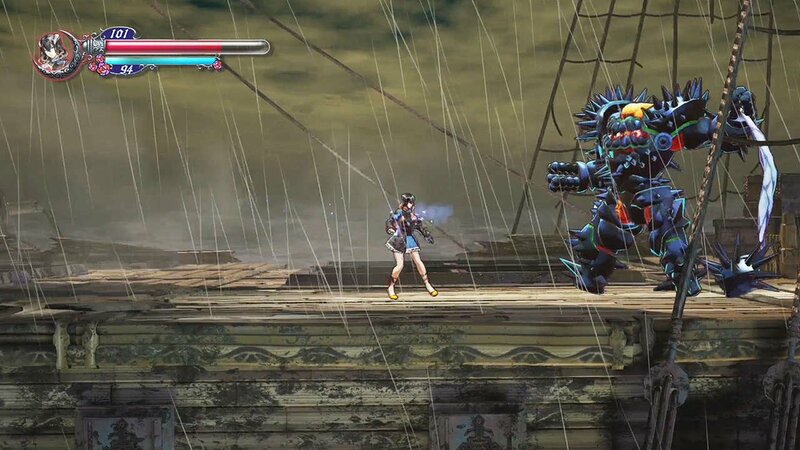 The game follows a girl named Mariam as she navigates her way through a castle filled with demons. The game features the same types of character progression through the forms of levelling up and finding new equipment but with added features such as weapon crafting. Fans of Symphony of the Night have been eagerly awaiting the title, pledging $5 million over the original $500 thousand goal. Castlevania: Symphonia of the Night deserves to be celebrated as a title that reinvented the wheel while honouring what came before it. The game changed the way that we looked at platformer genre along with the way we looked at RPGs, and 20 years later gamers are still discovering this gem with the many secrets it holds. Only time will tell if Bloodstained manages to live up to Symphony of the Night when it launches next year but for 2017, we can pay our respects to Castlevania: Symphony of the Night.